- 10% off V8 V-Fusion + energy. - $1 off two V8 Splash 6pk or 64oz. Bottles. 6pk +Energy flavors. 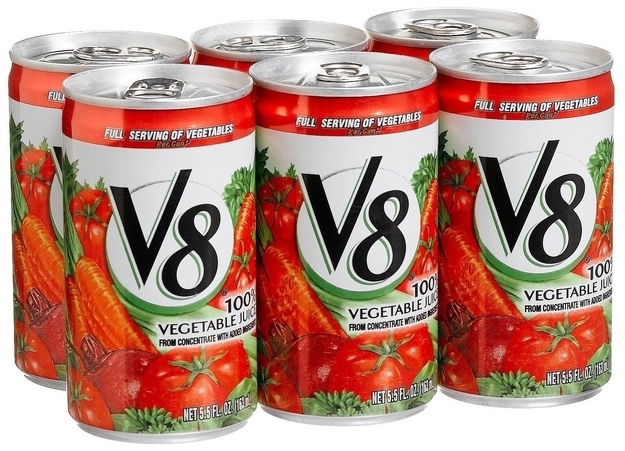 Excludes all other V8 Non +Energy varieties & sizes. - $1 off any campbell's V8 soup. Print a coupon for a $1 discount on any two V8 Veggie Blends, V8 V-Fusion, or V8 100% Vegetable Juice (46 oz or larger, or 6-pack cans). - 25% off V8 Infused Water.